It was a cool September morning, and I decided I wanted to be a little daring. 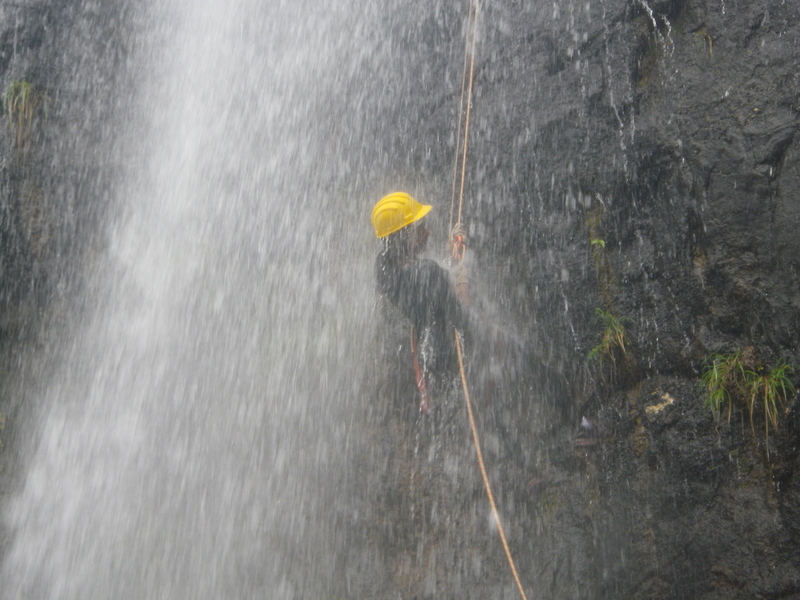 I never heard of waterfall repelling and thought it sound interesting. With a group of alliance and other Indian students, we rode a bus a few hours to the outskirts of the city and trek a short distance to a very hilly area that look down on a nearby village. 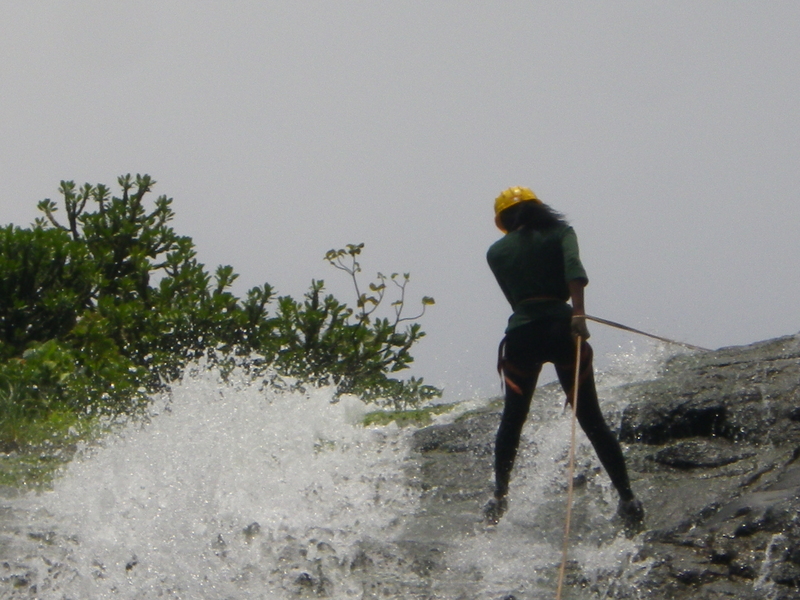 While crossing one of the waterfalls, I slipped and nearly took one of the guides with me. For a moment, I thought I would tumble all the way done to the bottom, but I was able to regain my grip after a little more effort. Once we reach the waterfall, everyone separated in groups of two. I was one of the last people to go up the stiff path to get to the top of the waterfall. I was completely out of breath and exhausted on the way up. My heart started pounding and I was trying my best not to lose my nerve and regain strength. Going across the edge was a little scary, but it was not until I approached the middle of the waterfall that things became a little more challenging. The water started to pound my helmet with force and I lost grip for a second before I was able regain my position. By the time I reached the bottom, I was happy to make it back to solid ground. It was a very exhilarating experience.